What to expect at Fastlane. 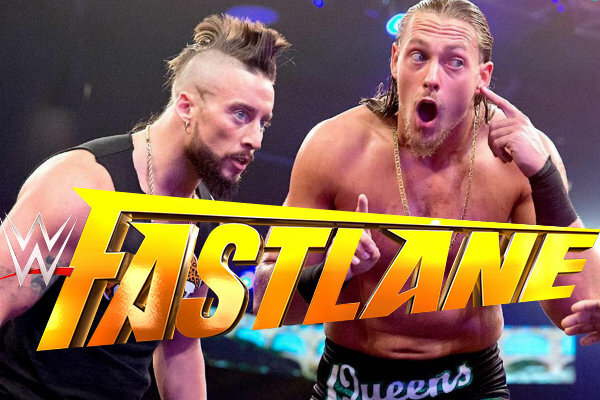 This weekend's Fastlane show is WWE's opportunity to firmly establish the big directions for WrestleMania 32, and several rumours are already circling the IWC and dirtsheets in relation to what is going to go down. At the very least, the main event of Fastlane will be setting in stone the WWE Championship opponent for Triple H. As you'd expect, the most buzz for this weekend is all around Dean Ambrose versus Roman Reigns verus Brock Lesnar. It should be a dynamic match between the ropes, but there's also the potential for it to be angle-heavy. It is more about 'Mania storytelling, with all three characters likely to be spun off into big matches for April 3. Elsewhere on the card, fans can expect more angles being presented, as WWE move towards establishing the 'Mania card. Then you've got segments like Edge And Christian interviewing the New Day, which looks bound to set up the direction of the New Day's future. It could be a very intriguing night, with everything from debuts, retirements and turns being rumoured. It isn't just going to be a case of straightforward matches, with the WrestleMania narrative being the focus ahead of the in-ring action. Here's some of what could be on WWE's booking agenda.